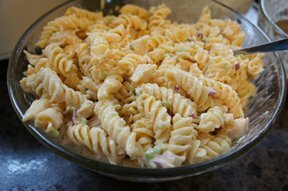 Great pasta salad recipe that doesn't take much time at all. Full of flavor and it's simply bottle dressing. 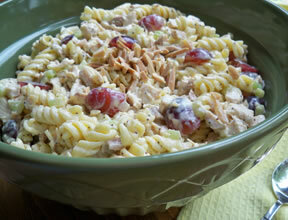 Use if for a light summer meal or bring it to a potluck. In large bowl, add pasta and remaining ingredients; toss to combine. Serve immediately or refrigerate. 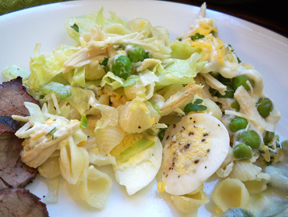 "I thought this salad was good and it was very easy to make, especially when the dressing you use is bottled. I ended up using a cup of dressing though because otherwise it would have been very dry."